An advisor is assigned to each student and will aid the student in developing their own curriculum to fit the desired outcome. We also offer the Sustainable Livestock Production Option of the interdisciplinary degree Sustainable Food & Bioenergy Systems. We offer three minors, the Animal Science minor, the Genetics minor, and the Natural Resources & Rangeland Ecology minor. Take a look at the "Your Career" page that briefly describes our majors, and links your interests with a major and possible career opportunities. 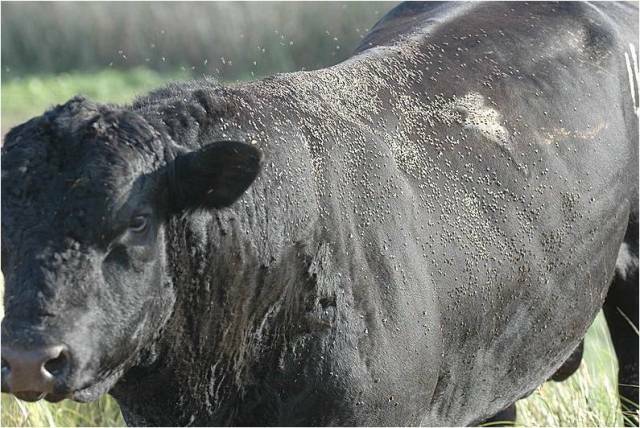 Natural Resources and Rangeland Ecology is concerned with managing the soil-plant-animal complex on rangelands. 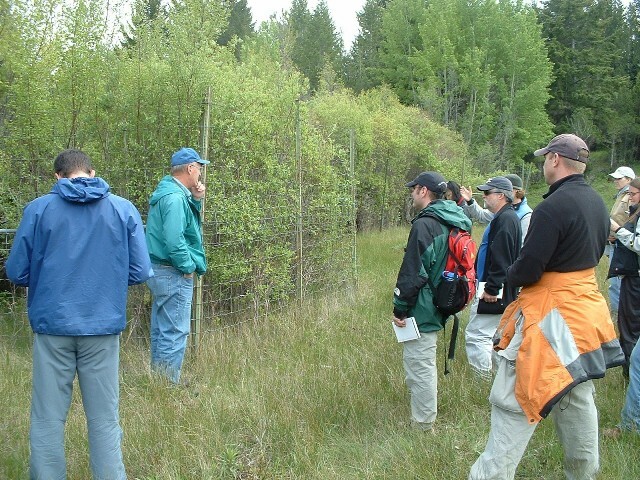 Students acquire an understanding of grazing and other land uses within the framework of total resource management. The curricula, administered by the Department of Animal and Range Sciences, includes course work in basic and applied plant and animal sciences, and wildland management. Additionally a B.S. in Natural Resources and Rangeland Ecology prepares students for employment with state and federal land management agencies. Other career opportunities include range livestock production, land resource consulting and general agriculture. The Rangeland Ecology and Management Option emphasizes the interactions between natural resources and using rangelands for sustainable livestock production. 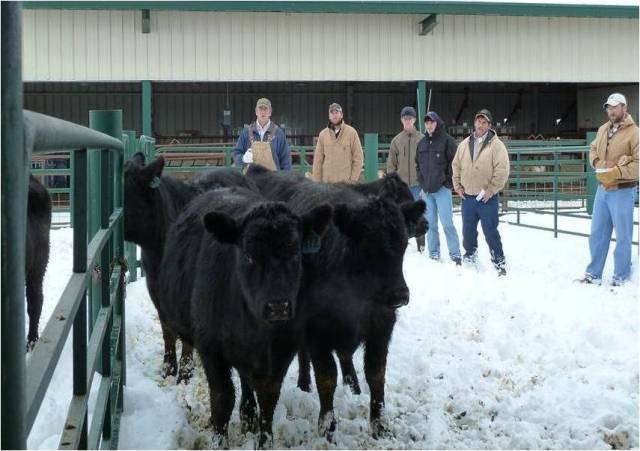 This option prepares students for careers in livestock production, allied industries, and agencies related to managing rangelands for livestock. The Wildlife Habitat Ecology and Management Option offers students with an interest in wildlife habitat the opportunity to study a multidisciplinary approach to wildlife, livestock, and their habitats. Career opportunities in federal agencies are at a all-time high for students with bachelor degrees that emphasize habitat ecology and management. Natural Resources and Rangeland Ecology (NRRE) Minor — A minor is a secondary area of academic specialization. A minor in NRRE can serve as an excellent complement to several other majors offered at MSU to expand career opportunities. The animal science curricula are administered by the Department of Animal and Range Sciences. The curricula in animal science provide students with a firm foundation in the biological and natural sciences, animal breeding, reproductive physiology, nutrition and livestock production and management. Applications to production environments of the western United States are emphasized, including the close relationships among livestock, rangeland and natural resources. Three options are offered leading to a B.S. in Animal Science. Proper use of restricted electives allows students to tailor curricula to meet their individual needs. The Livestock Management & Industry Option (ASLV) stresses the application of science to livestock production, incorporating courses in agricultural economics and business. Emphasis is placed on the application of the principles of economics, range science, genetics, physiology and nutrition in sustainable livestock production systems and business and management skills as they relate to livestock enterprises and service industries closely allied to livestock production. It is designed to allow flexible course work choices to prepare graduates to manage livestock enterprises or for employment with companies producing and marketing livestock, animal feeds and health products, as well as employment with a variety of communication and service organizations such as breed associations, commodity groups, livestock publications and government agencies. The Science Option (ASSE) emphasizes greater depth in the basic sciences and is designed for highly motivated students who have a strong interest in graduate training or professional school. Individual curricula can be tailored to provide excellent preparation for veterinary school, medical school, or graduate studies in animal biotechnology, physiology, nutrition or genetics. Equine Science Option (ASEQ) emphasizes science and technology to prepare students for employment in the equine industry. Graduates of this program will have a firm foundation in reproduction, nutrition, management of facilities and land, as well as in the allied industries such as sales, feed, tack and equipment. Students can tailor their program for more emphasis in science, business, or range. Students also can combine this science–based program with the practical aspects of horsemanship and training. Animal Science Minor - A minor is a secondary area of academic specialization. A minor in Animal Science can serve as an excellent complement to several other majors offered at MSU and to expand career opportunities. Genetics Minor - The Genetics minor provides students with a focused experience in microbial, plant, and animal genetics, and allows exploration of areas such as bioinformatics, and molecular, evolutionary, and quantitative genetics. Montana State University does not offer an undergraduate degree in Entomology. Entomology courses are taught in Animal & Range Sciences, Land Resources & Environmental Sciences, and Biology Departments. Students interested in entomology can take these courses as electives in the option in which they are enrolled. This course will provide an overview of the importance of arthropods and their effects on human and animal health. Topics covered will include classification and identification of insects, mites, and ticks, basic biology, behavior and ecology, feeding mechanisms, pathogen transmission, vector competency, production impacts, integrated management and prevention. Prerequisite: BIOL 101, ENTO 204.